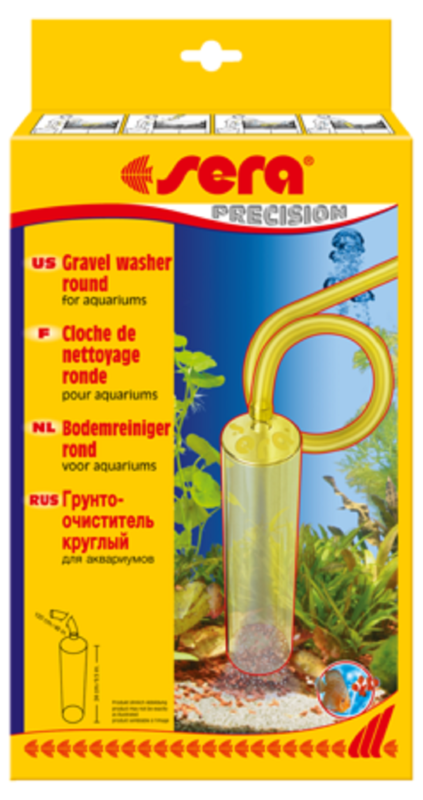 The Sera Gravel Cleaner (rounded) allows you to remove waste from the aquarium gravel/sand easily and thoroughly, and to carry out a partial water change at the same time. 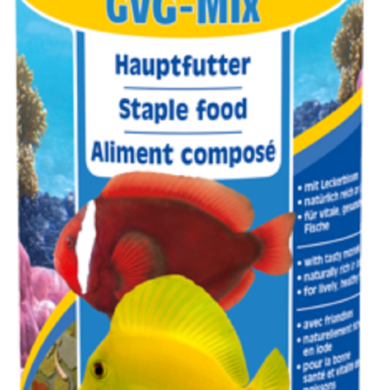 This water conditioner is effective against gill and skin flukes, tapeworms as well as against digenic trematodes (flukes, e.g. Transversotrema or those that cause worm cataract) in fresh and marine water. 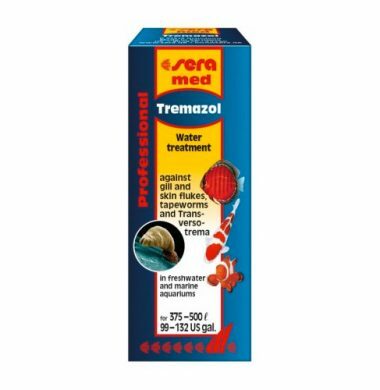 The special formulation of sera med Professional Tremazol ensures excellent distribution of the otherwise hardly soluble active agent in the water, which allows for quick and safe efficiency. 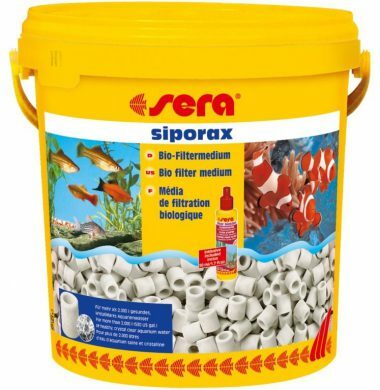 10ltr bucket of the 15mm hoop size suitable for many biological filter applications , fantastic for large external canister filter operation for all aquaria. The Sera 20cm Fine Net is smooth and soft so fish are not injured when being caught. Sera Nets should be washed before use. 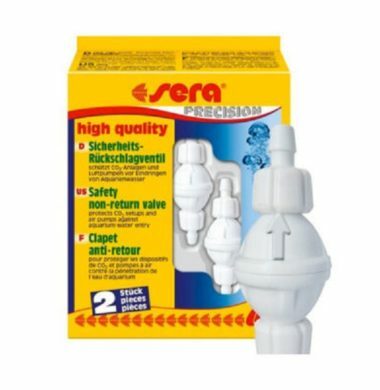 High quality non return valve by Sera. 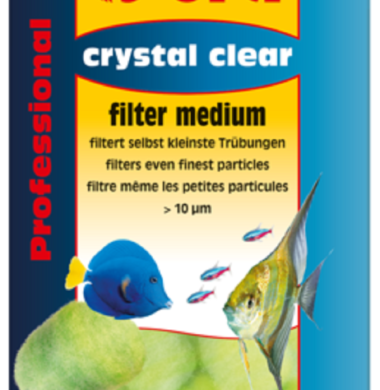 Suitable for aquarium c02 systems and airlines. 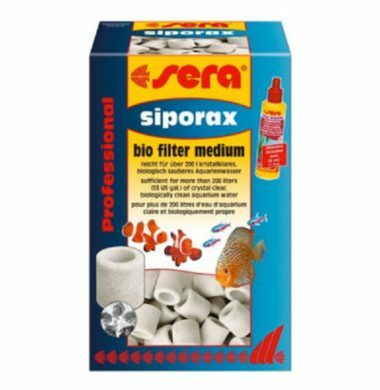 Sera Siporax Proffesional (15mm) unrivalled biological filter media for all applications, marine, tropical and cold water aquarium suitable. The professionals choice. 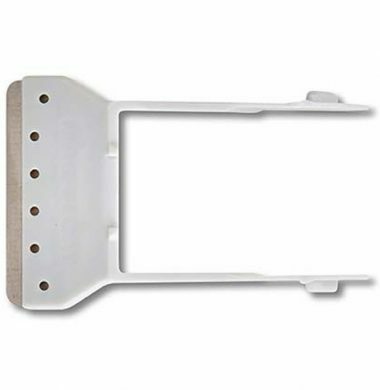 290grams Suitable for aquariums up to 200ltrs depending on application. Sera Marin Marine Granules are a staple food consisting of carefully manufactured granules for all marine fish. 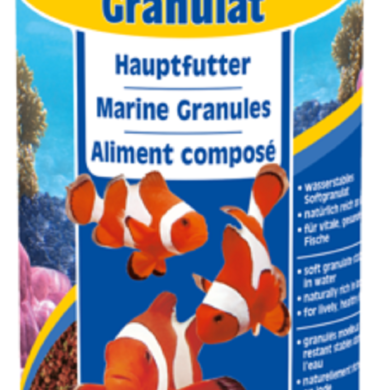 Due to the carefully selected ingredients (such as iodine-rich algae, Spirulina and Krill), Sera Marin Marine Granules optimally fulfills your fishes natural requirements. 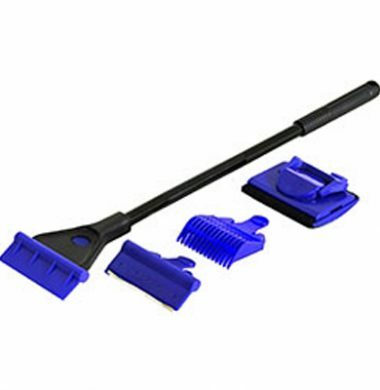 The slowly sinking soft granules quickly become smooth without losing their shape, and do not pollute the water. The varied blend of Sera Marin GVG-Mix is rich in trace elements (such as iodine) and thus optimally fulfills the natural requirements. The food keeps its shape, is excellently digestible and does not pollute the water. 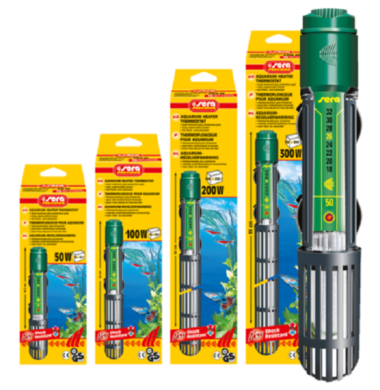 The Sera 300W Thermostat Heater is a fully submersible aquarium heater, for use in Freshwater and Marne Aquariums. 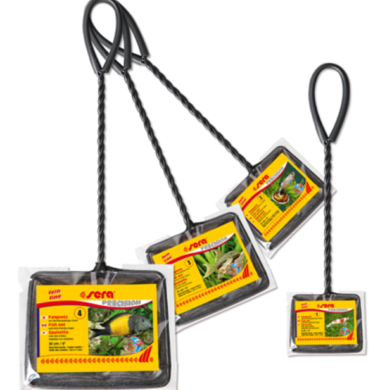 The Sera 300W Thermostat heater is heat resistant, and comes with a protective grid.